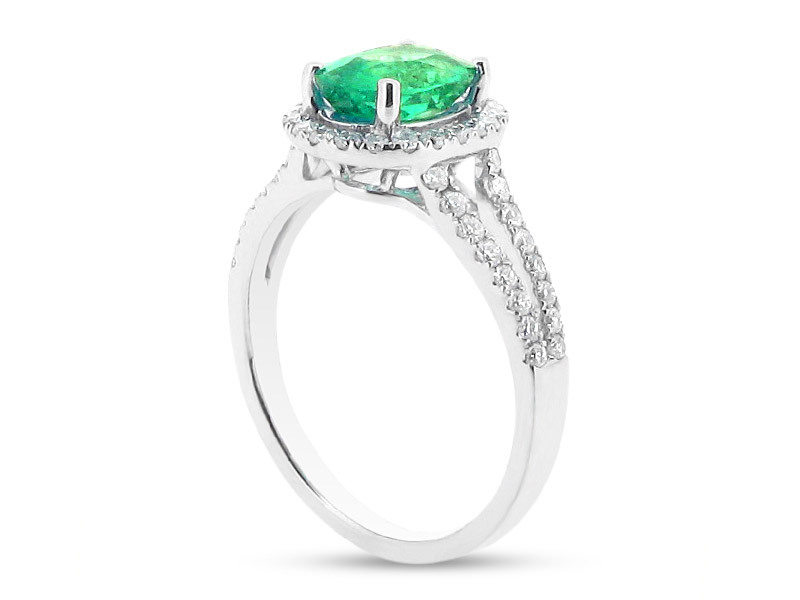 This split shoulder engagement ring is really a magnificent piece that will be sure to wow everyone. 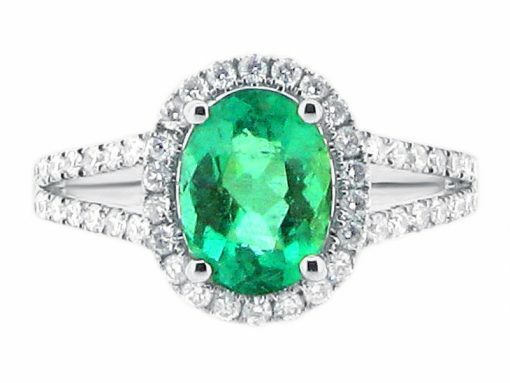 In this example, we have a stunning oval cut green emerald gemstone surrounded by colourless diamonds in a scallop set halo. This style is both modern and timeless. 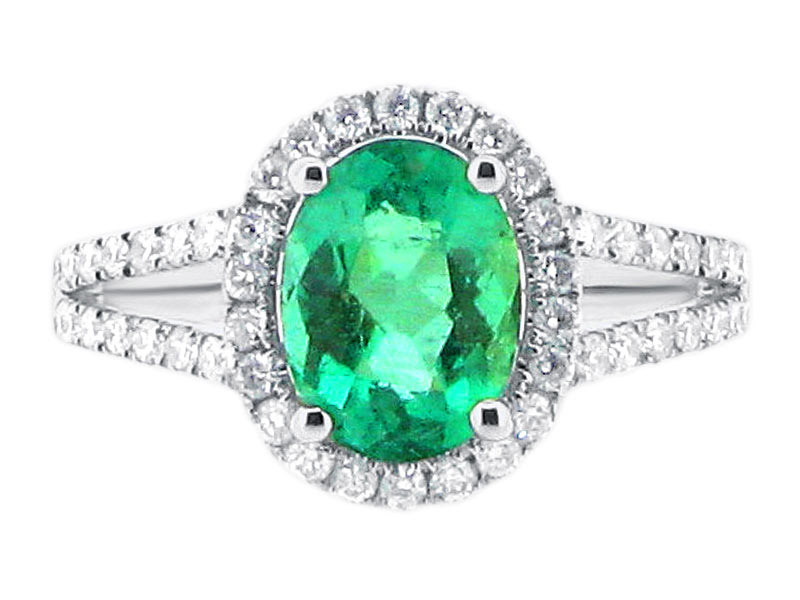 We are happy to quote our clients for making this design with a diamond, sapphire, ruby, or other centre stone. Many customers visit us to view our wide selection of rings and are delighted to find that we can modify pieces to suit their preferences, We do not have set costs for our designs. This ring starts in the region of €3,500, and many styles start from €1,500.